EXPANDED MEDIA: 100 Rescued Stones for SoAD Print Shop! The SoAD print shop rescued 100 litho stone slabs. The first twelve of 100 arrived this week. 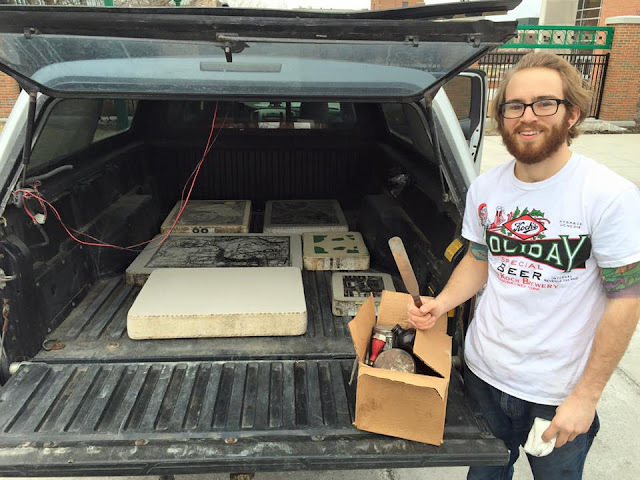 SoAD print shop Technician Timothy Pauszek makes the first pick up for the stone slabs. 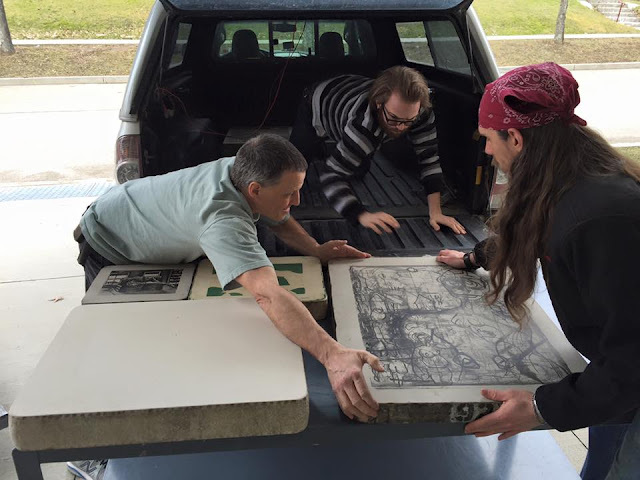 From left: SoAD technical specialist Mark Kligensmith, print shop technician Timothy Pauszek, and Institute of Electronic Art technician Devin Henry unload the newly acquired stones.